some photos documenting what's happened so far. In January of 2014, Tristen (Trippa) sent me a little care package of seeds. 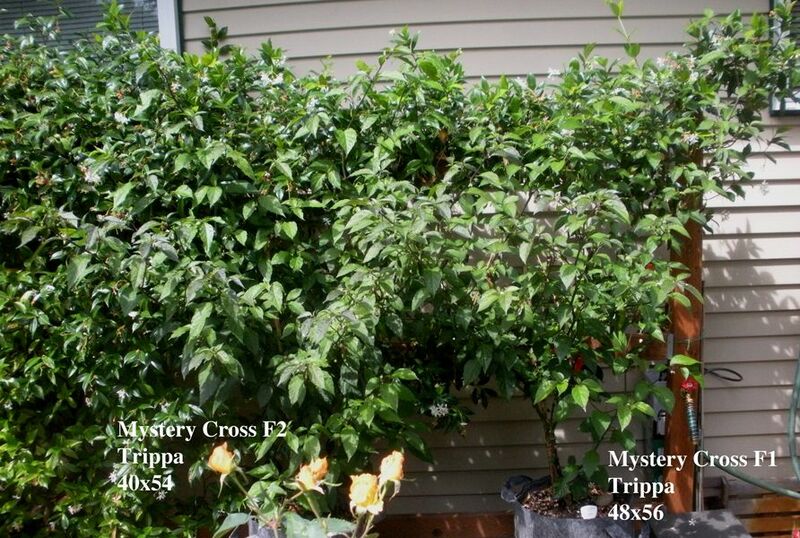 called 'Mystery Cross, F1' and 'Mystery Cross, F2'. Both generations showing the purple foliage characteristic since the beginning. Edited by PaulG, 22 March 2017 - 11:08 PM. Beautiful looking plants. Im not sure if you posted pics of the pods last year. I thought so. I was searching for it. Oh I found it! I remember now. That looks really tasty. I can't wait to see how it turns out this year. Edited by OCD Chilehead, 23 March 2017 - 07:55 AM. 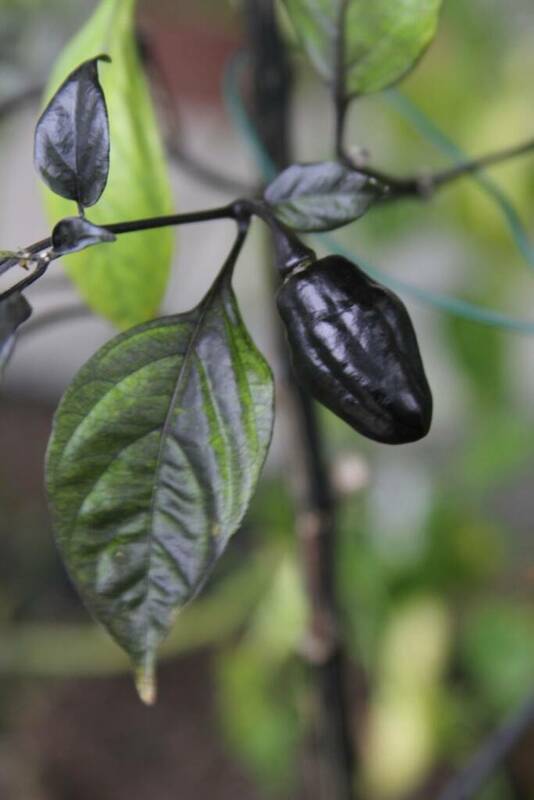 One of my favourite tasting peppers in Bonda ma jaques, so watching this keenly Paul, lovely markings on the foliage and great looking plants , well played on growing it out for Trippa , would you say its near to stable now , are you getting consistent pheno pods and colour ? were the late season immature pods from this past season. the summer as dark purple. Edited by PaulG, 23 March 2017 - 11:26 AM. 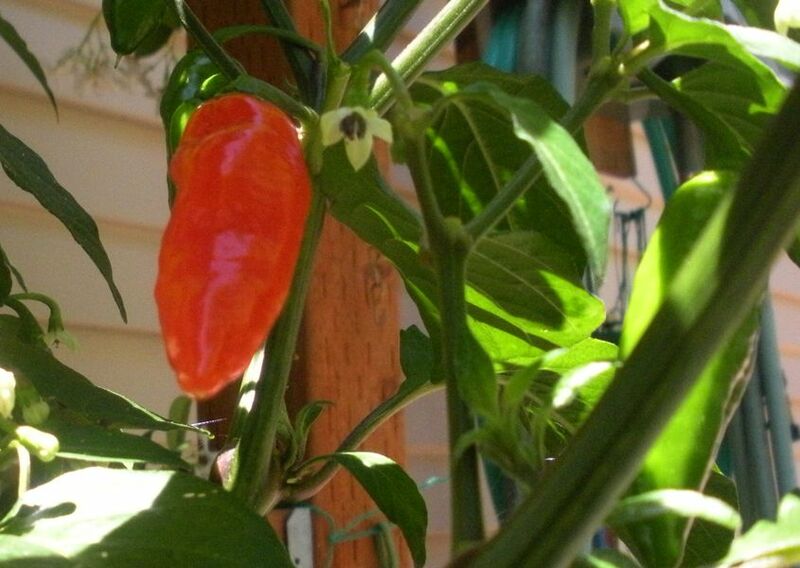 of a pod will heat up and flavor a bowl of soup or chili. I didn't grow them out. Nice work Paul!! Credit to your great growing work ! My particular reasons for the initial cross were driven both by aesthetics and the production/vigour of the parent plants. 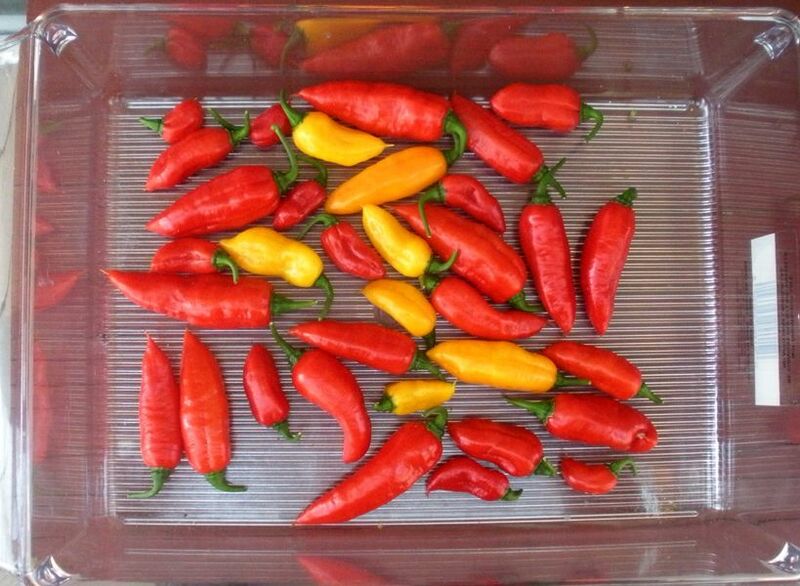 My Bonda ma Jacques strain which I grew for 2 seasons was healthy but set fewer pods then I wanted and was prone to broad mites once the season became hotter but I loved the taste and heat level of the pods. 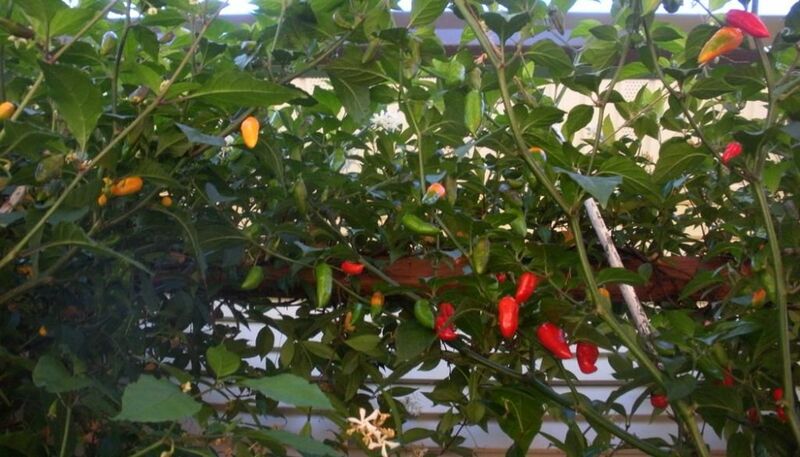 The Pimenta De Neyde strain I had also been growing for 2 seasons showed prolific podding in the heat , was a tall deep purple plant with quite stretched internodal spacing which never once got hit with broadmites when almost all other plants around it did. It also had a unique perfume and great heat to the pods which I thought would couple well with the Bonda's fruity heat. Regardless the strain that Paul selected and sent me seeds back from for the F3s was better then I could have hoped for both aesthetically and with growth habit and vigour. They also overwinter amazingly well. I have multiple f3s and f5s currently growing (from Pauls f5 seed stock) and the f5s are such a great looking plant. Kudos goes to Paul for selecting and growing this strain into something better then the original idea I had. Purple plants with white pods, awesome production and great heat!!! Edited by Trippa, 23 March 2017 - 12:46 PM. Where else are they growing Tristan ? Be interesting to see what other climates produce. 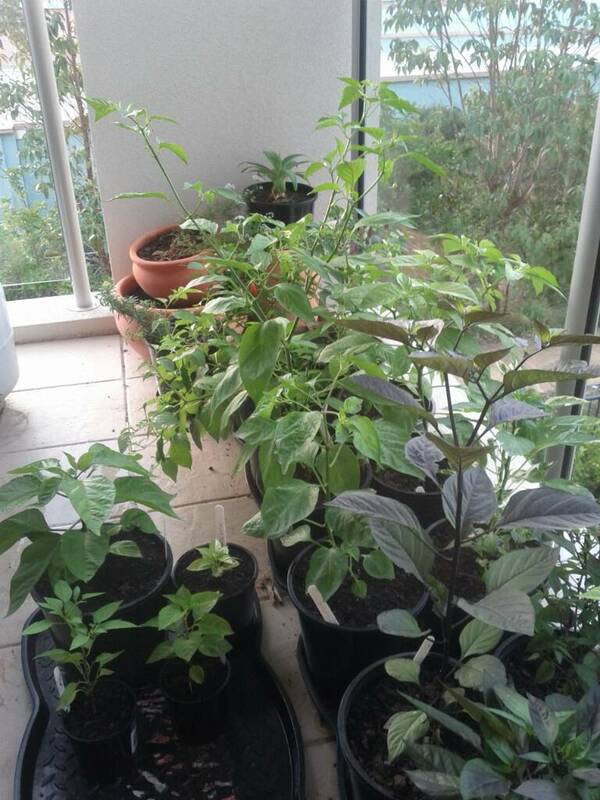 Currently I am growing them here in New Zealand and Paul in the Pacific NW of the USA (Paul has 3 plants at f5 I believe and I have 4 ) ... They were originally crossed in the Gold Coast of Australia when I lived there. Edited by Trippa, 23 March 2017 - 12:25 PM. 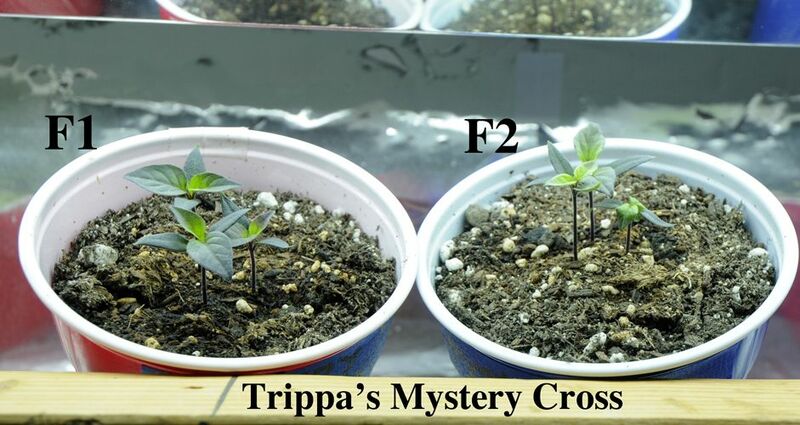 I'll try to find a pic of the intermediate stage F1, F2 plants. like to help Tristen out with the F6, F7 grow, as well as he and I. The F2 pods. The newer pods are pointy like the F1's, so it looks like only these early pods are blunt. But check out the color Now are there any guesses as to what Tristen's mystery cross is? Thanks for all the info you two. A great glog. I admire the group effort. Very cool! If down the line, you want me to pitch in on this experiment, count me in. I'd be glad to document, isolate and send back seeds and pods. Can't wait to see how this goes. Here's hoping we have plenty of f6 seed to share in a few months time! Paul has certainly put the time in with this ... If it wasn't for him I wouldn't have got anywhere near this stage now or maybe ever!! Be great to help out both of you and see the f6/f7 grown all over the globe ,same as what Gary did in the memory grow of the P.Dreadie select. Edited by Superhot Sim, 24 March 2017 - 03:24 PM. Could be great fun, Charles! Absolutely, we'll keep posting info on this thread. I have had great fun growing it out so far. all the awesome seed you have sent my way, brother. OW or at least prolong season for them in the greenhouse. 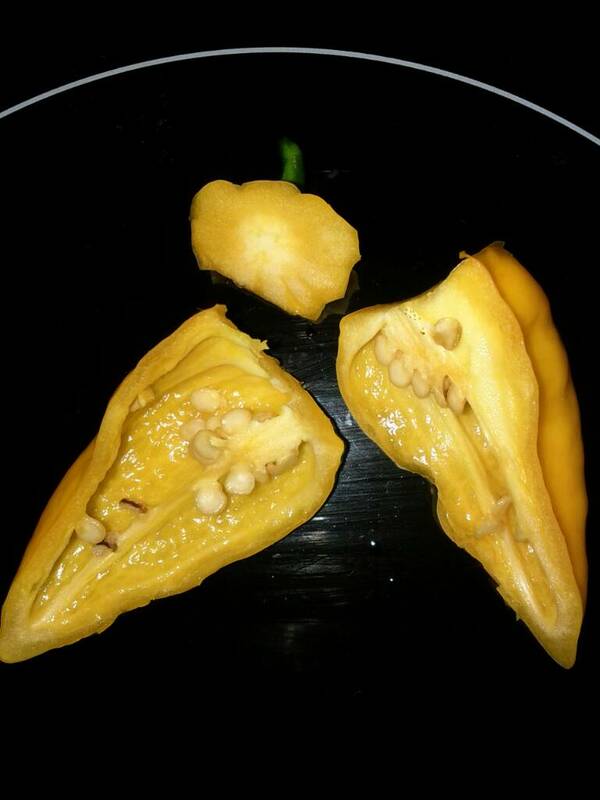 Great info from both of you and a very interesting pepper indeed, when i see the f1 pod then the f2 that nice bright yellow my first thought was its reverted back to the original BMJ , now the later generations start purple and ripen to a cream color ? That's right, Sim. 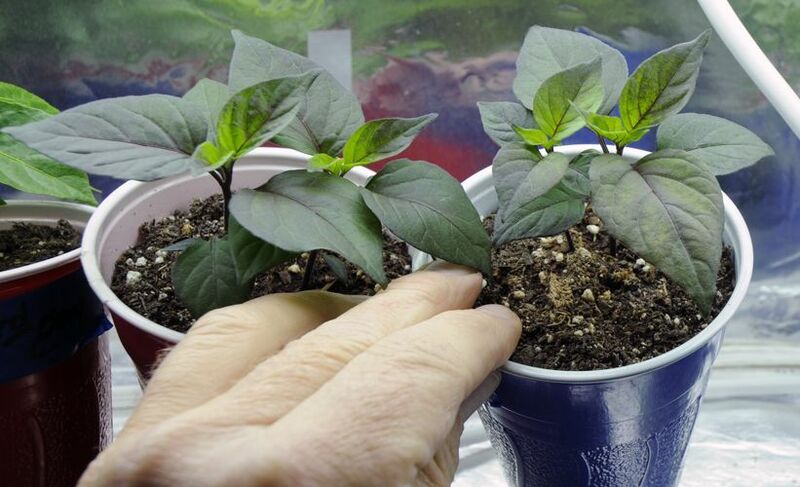 As I get time, I'll put up pics of the pods/plants through the seasons the beauty of pepper genetics , i like the sound of Trippas vision an nice dark green/purple plant with bright yellow elongated pointed pods... It could still happen, if Trippa still has some F2 seed to sow. 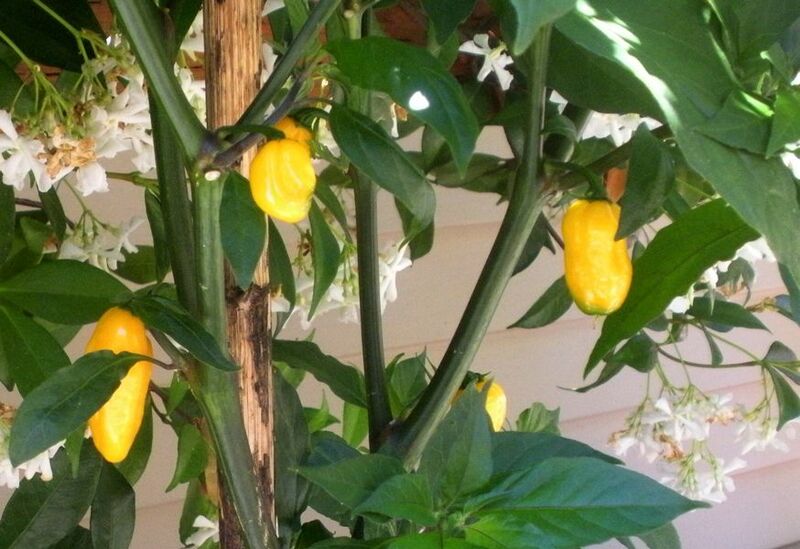 Grow out enough and you might find a strain that stays yellow. for a few generations, so my hopes are high, but who knows? 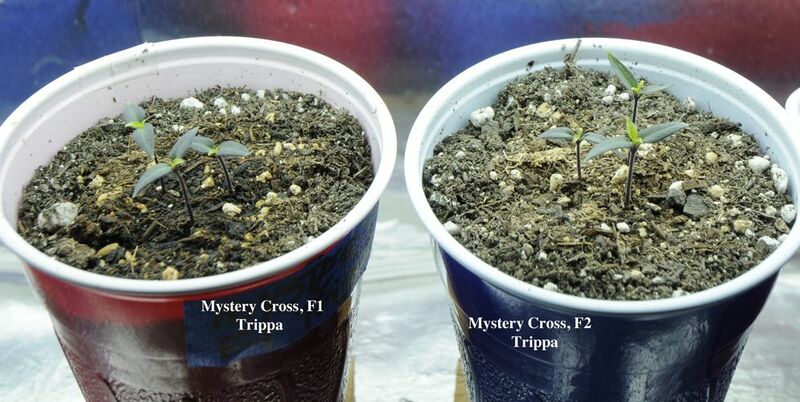 Here's a pic of the F1 and F2 plants in late summer, 2014. Edited by PaulG, 24 March 2017 - 04:37 PM. Paul have you got pod colour pics over the last few seasons to have a look how the colouration has changed over the different generations. caught up to this season by tomorrow or next day.